We obsessively cover the wellness scene —fitness, superfoods, natural beauty, and more—from coast to coast. You might say Indra Devi was the Madonna of the yoga world in the early 20th century, credited as she was with bringing Hatha yoga to the West. Born to a teenage mother in 1899 Russia, the beloved teacher's life was all about reinvention. After debuting as a Berlin cabaret performer in her early twenties, she went on a spiritual pilgrimage to India, starred in a Bollywood film (where she was given her adopted Indian name), learned yoga from one of the master teachers of the day, and went on to instruct socialites in Shanghai, film stars in Los Angeles, and flower children in Mexico. Though she certainly had her flaws (you can read more on that in the book), there are plenty of reasons to be inspired by the original yoga-lebrity. Next time you need a hit of empowerment, consider channeling these seven elements of Devi's one-of-a-kind character -- and send her a mental thank-you note for bringing savasana to our shores. 1. She followed her intuition. 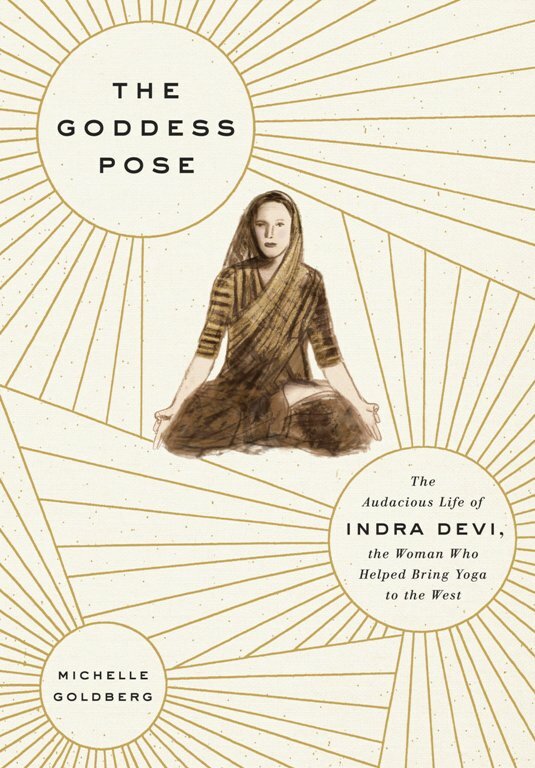 When Devi discovered Hatha yoga as a bright-eyed spiritual seeker in India, it was totally unfashionable -- disgraceful, even. "It was widely seen as the province of magicians, con men, and sideshow contortionists," writes Goldberg. Even so, the actress had a hunch that asanas would help with her chronic anxiety attacks, so she pursued the practice anyway. 2. She refused to take "no" for an answer. Devi was intent on studying with Tirumalai Krishnamacharya -- brother-in-law and teacher of B.K.S. Iyengar. But when she approached him, he bluntly told her that his shala was dudes-only and showed her the door. That didn't faze Devi -- she just went over his head to the maharaja of Mysore, who ordered Krishnamacharya to admit her as his first foreign, female student. 3. She used movement as medicine. After moving to Shanghai with her husband, Devi opened her first "studio" in a bungalow owned by Madame Chiang Kai-Shek, the then-First Lady of China. Her five daily yoga classes attracted hundreds of students each week, most of them American expats. Many reported relief from chronic conditions like asthma, insomnia, and headaches -- so much for sorcery. 4. She was unapologetically kooky. Devi was known to practice a monthly day of silence, but she didn't use it as an opportunity to chill at home. Instead, writes Goldberg, "she went out and about in the city, shaking her head and placing her finger to her lips mysteriously if some uninitiated person spoke to her." Some may call it odd; we call it brilliant. Head to Well+Good to see the rest of this post.